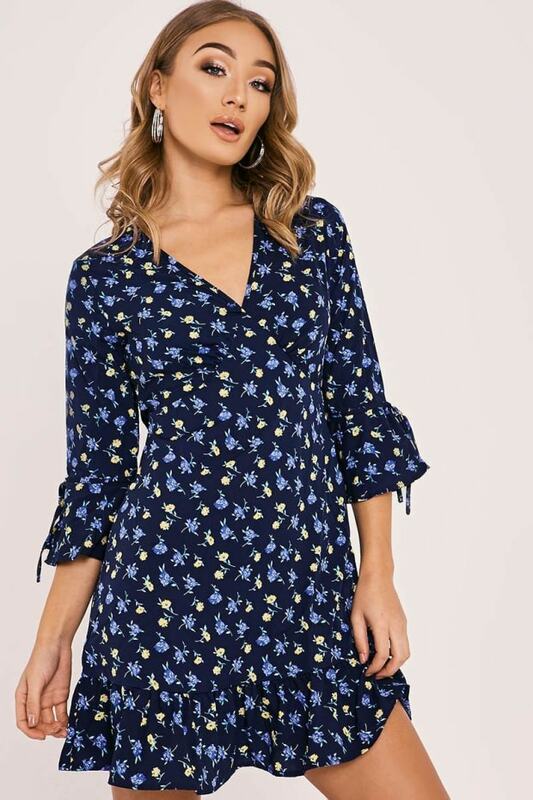 Give your wardrobe that new season glow and get this navy mini in there immediately! 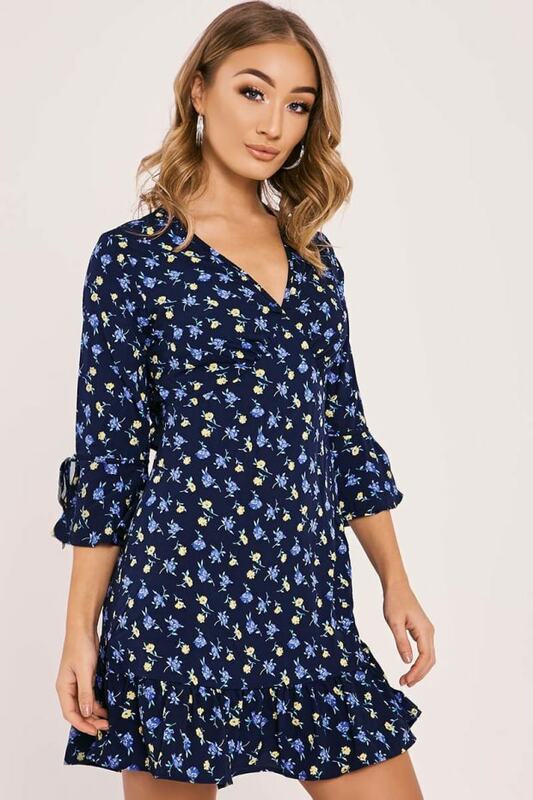 In a flirty floral print featuring a wrap front, frill hem and open back, this mini is guaranteed to score you serious style points! Style with strappy heels and leather jacket to elevate your style game!